Item # 319045 Stash Points: 3,800 (?) This is the number of points you get in The Zumiez Stash for purchasing this item. Stash points are redeemable for exclusive rewards only available to Zumiez Stash members. To redeem your points check out the rewards catalog on thestash.zumiez.com. Shralp pool coping, charge deep ends and soar over vert lips with the Oski Lair Radials 57mm 99a Skateboard Wheels, Oskar Rozenberg's signature pro model wheels. 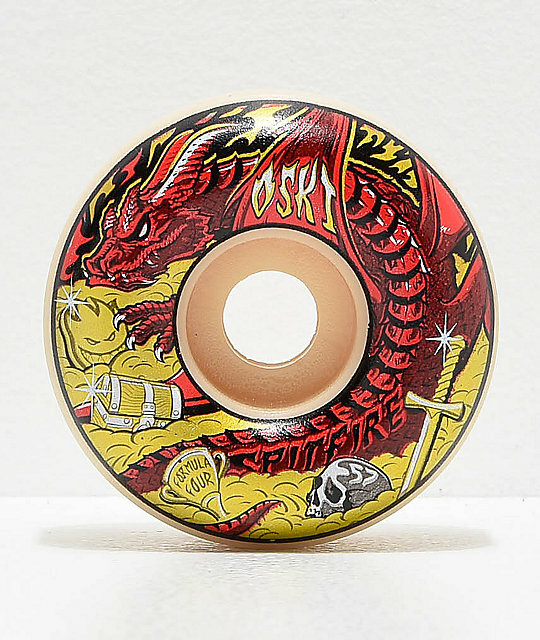 Draped with graphics of a red dragon guarding it's treasure, these durable, urethane constructed wheels offers premium speed and control through Spitfire's Radial wheel shape. Formula Four Oski Lair Radials 57mm 99a Skateboard Wheels by Spitfire. 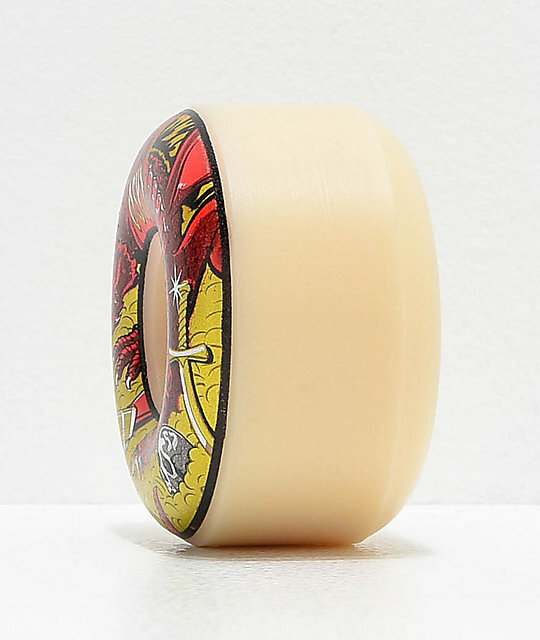 Signature Oskar "Oski" Rozenberg pro model wheels. Spitfire's Radial wheel shape for a large contact patch with speed and control, along with responsive slides. 57mm sizing, 99 durometer hardness rating.